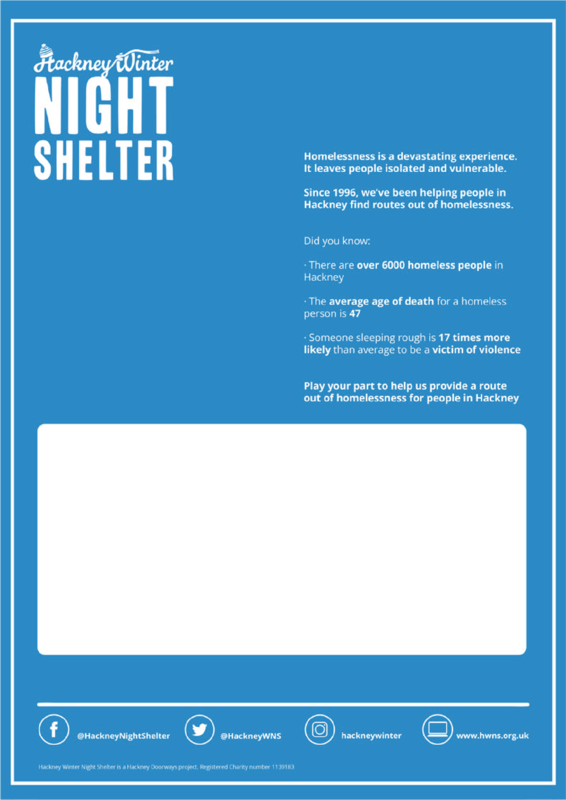 Download posters, leaflets and templates to help with your fundraising. 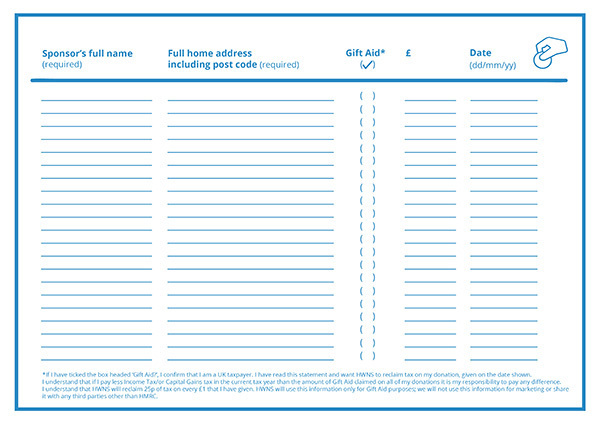 You can order a fundraising pack or collection box to be sent to you by post or to collect from the office. A fundraising pack will include an a poster, a donation form and sponsorship form. 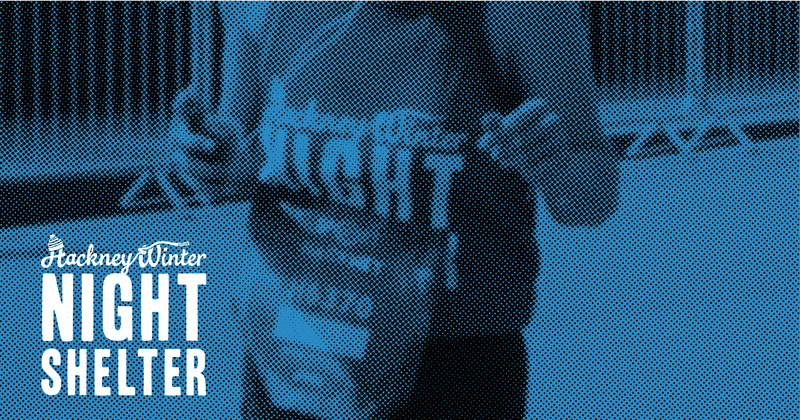 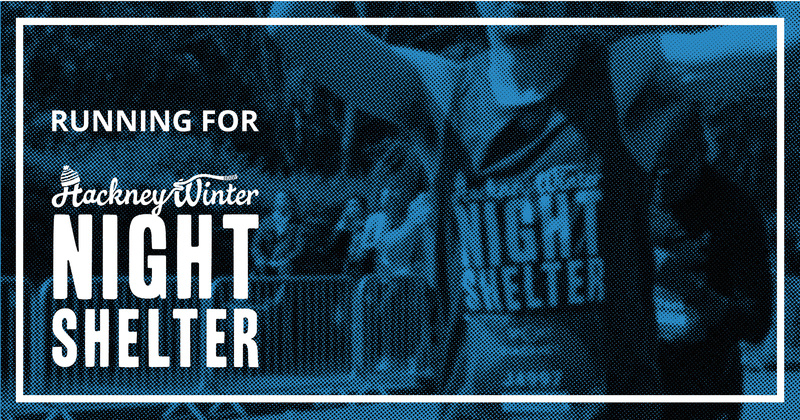 Let us know what you are doing ahead of time so that the shelter can help promote and celebrate your amazing efforts. 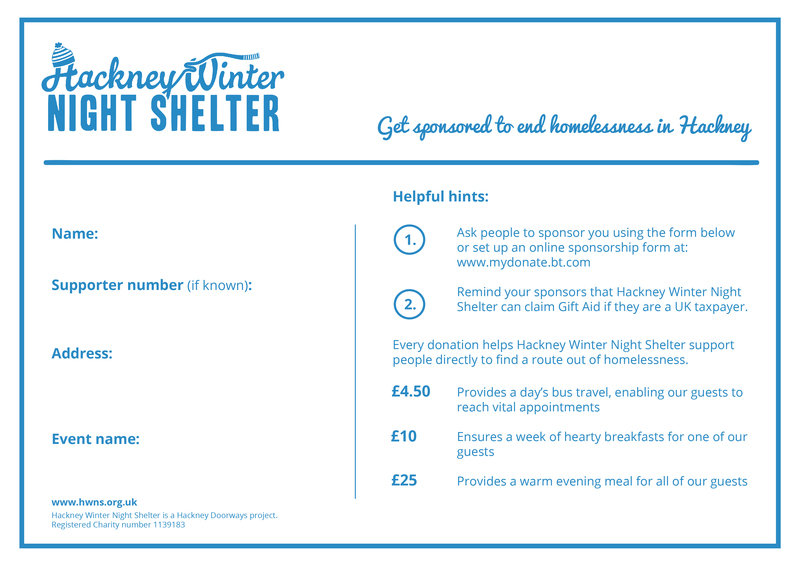 You may also want to inform local press that your event is happening, as well as promoting through social media, flyers and posters. 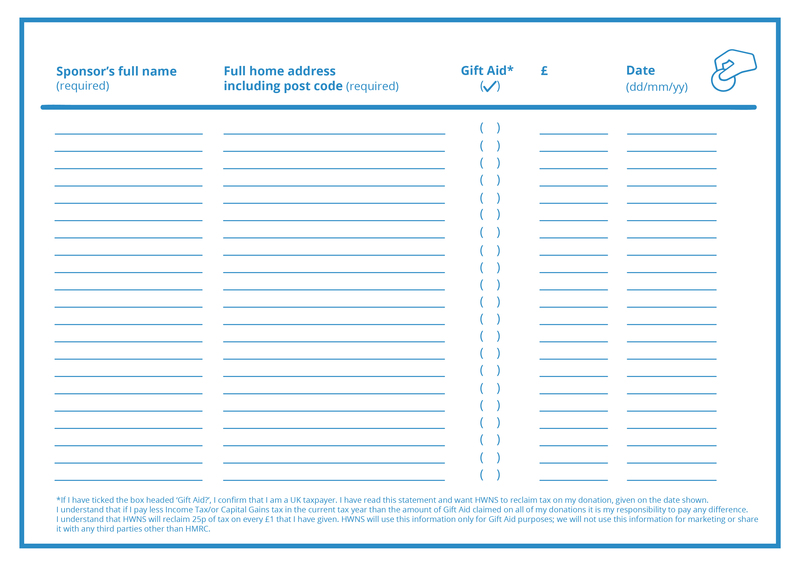 Ensure you include details of what the event is, where it is happening, how people can support and help you raise funds. Don't forget to use good quality images and our logo. 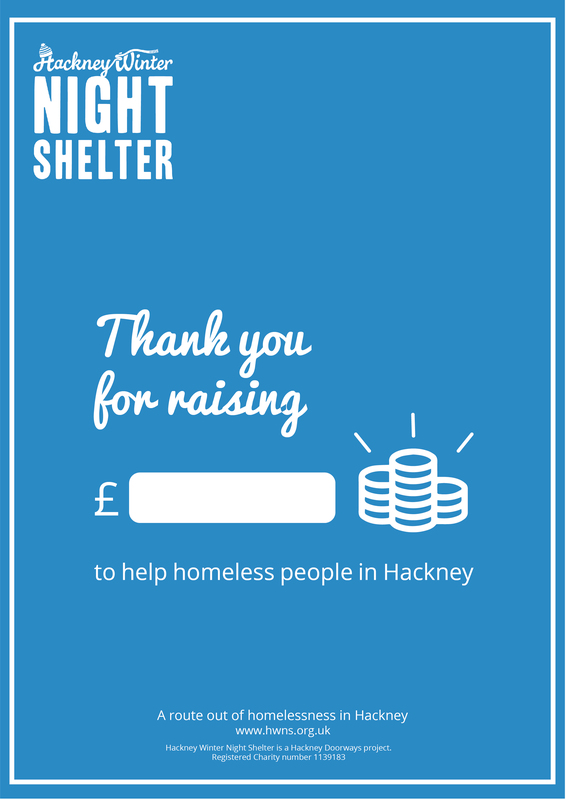 We really appreciate every single fundraising effort made to help our work. We've put together some guidance to make sure yourself, those involved in fundraising and the general public are safe when doing so. 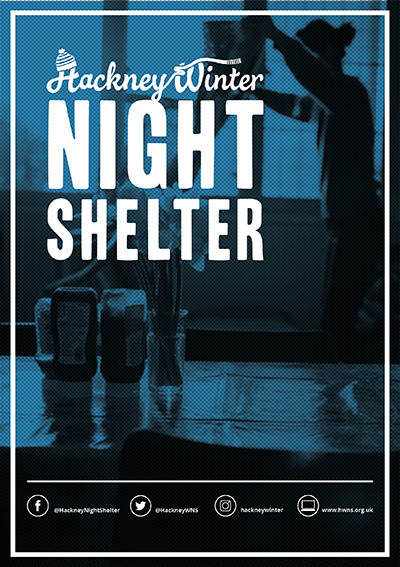 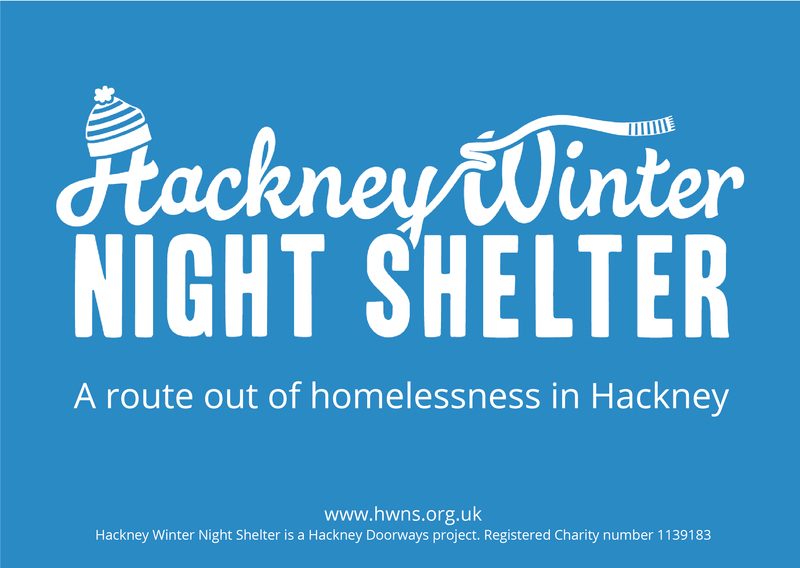 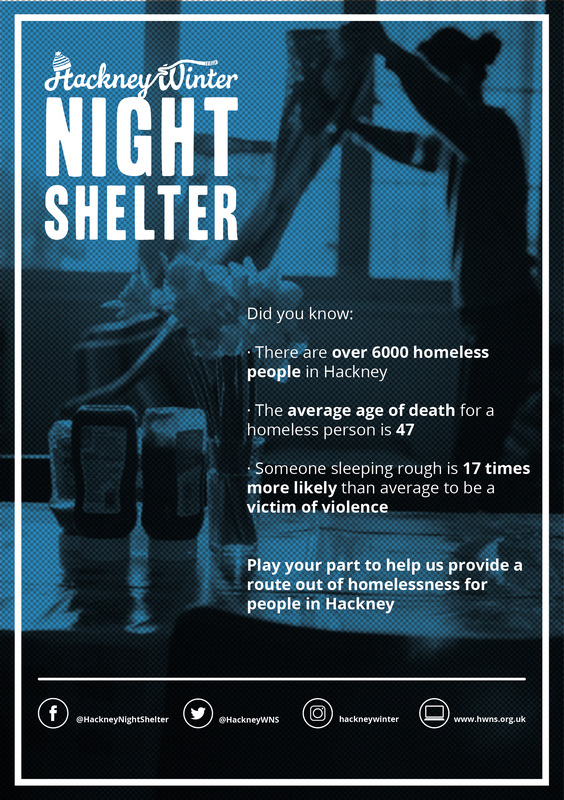 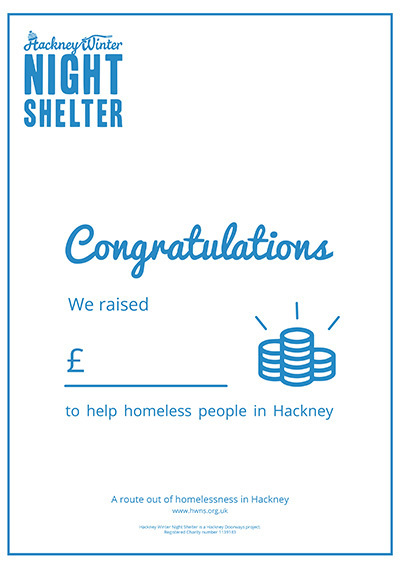 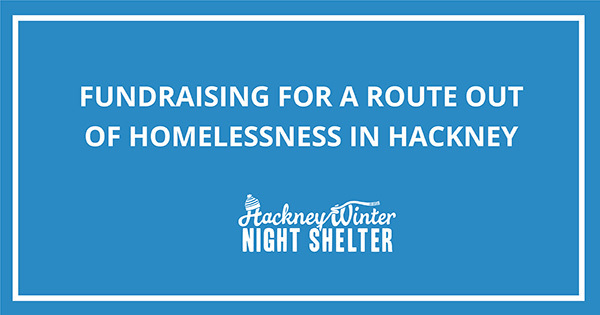 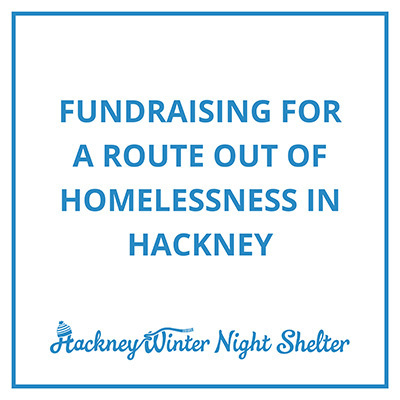 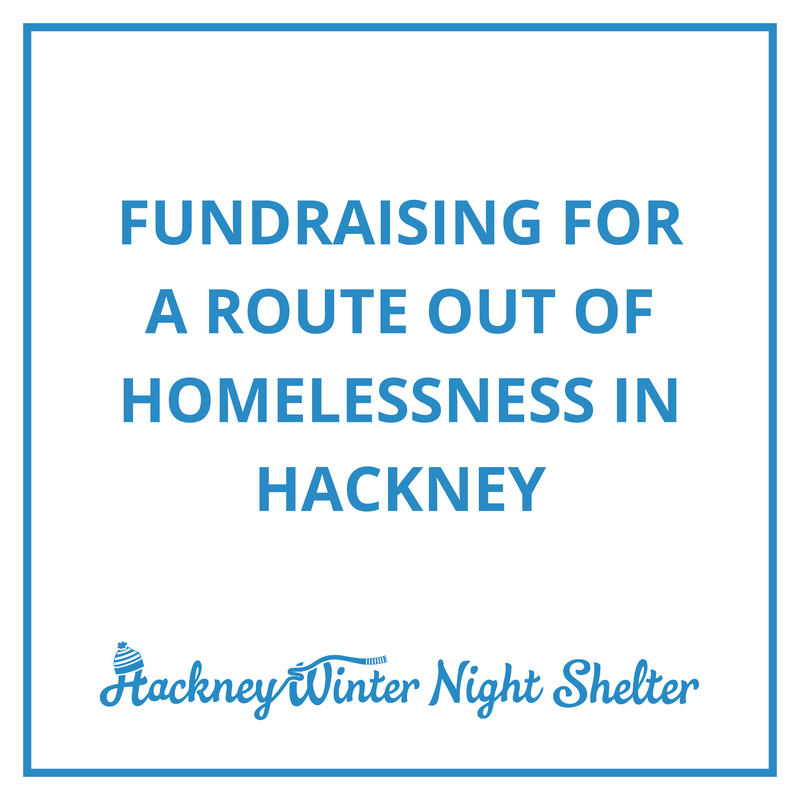 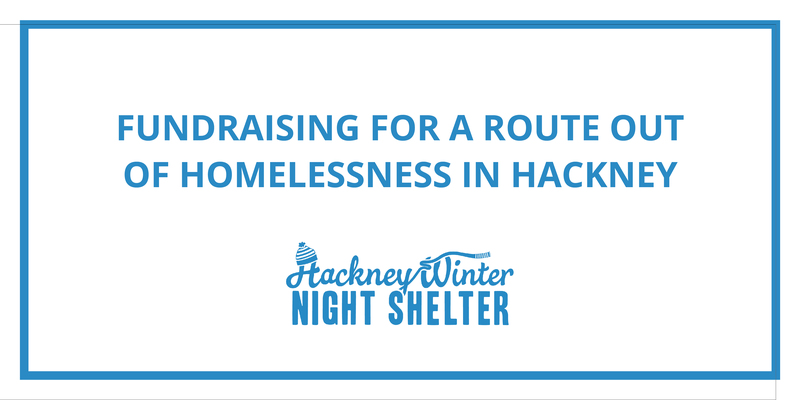 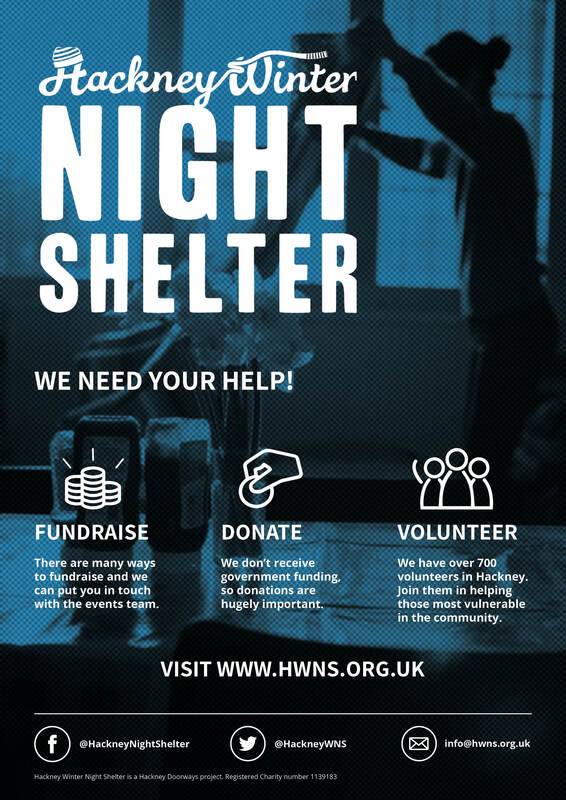 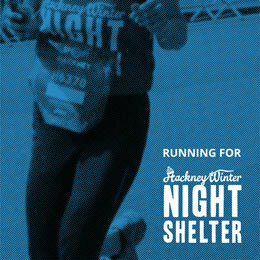 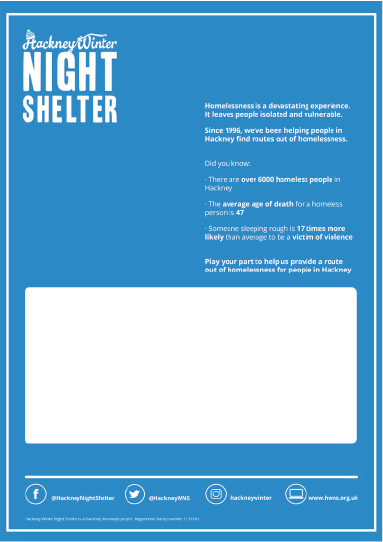 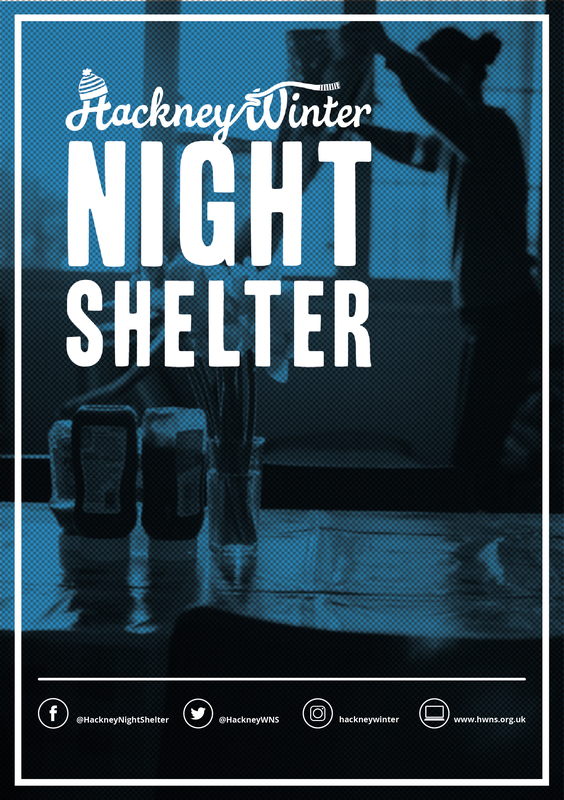 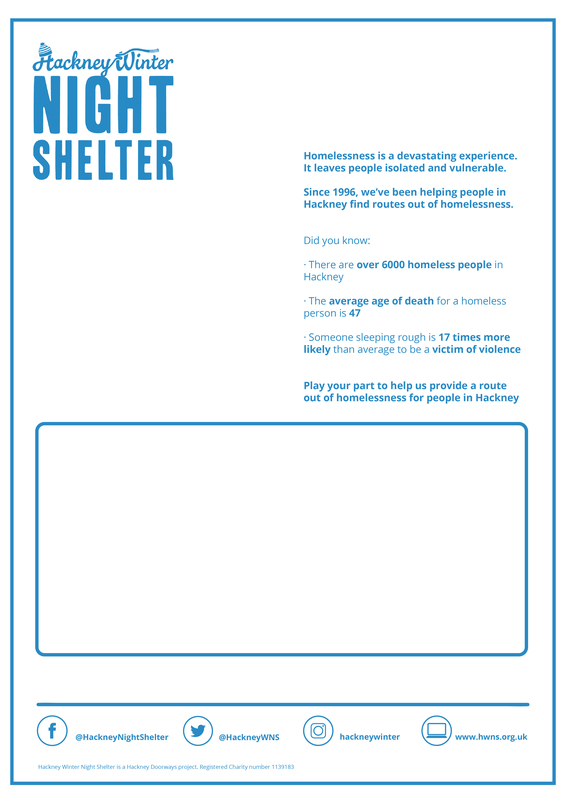 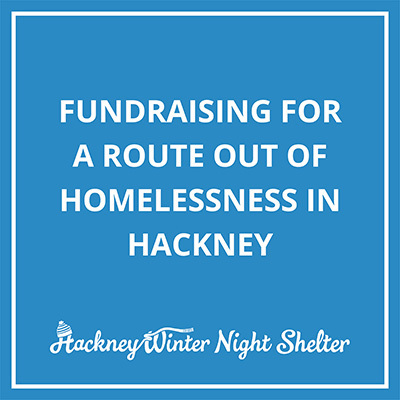 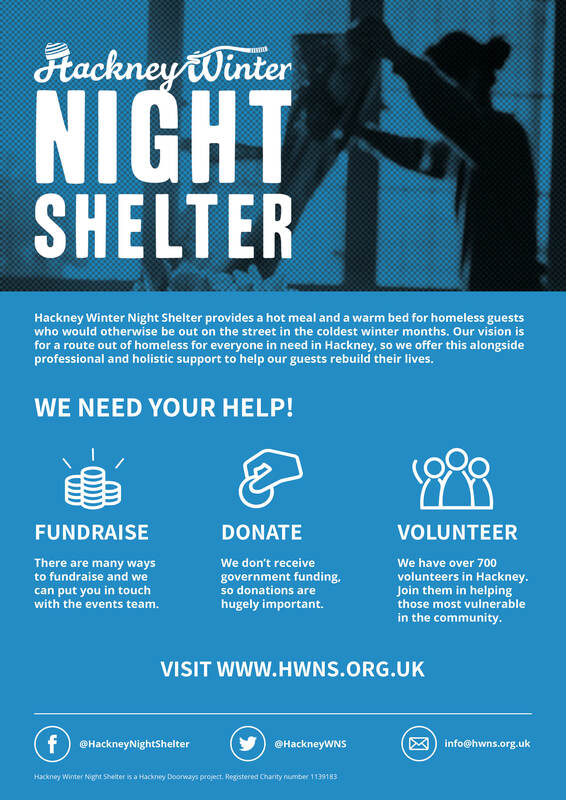 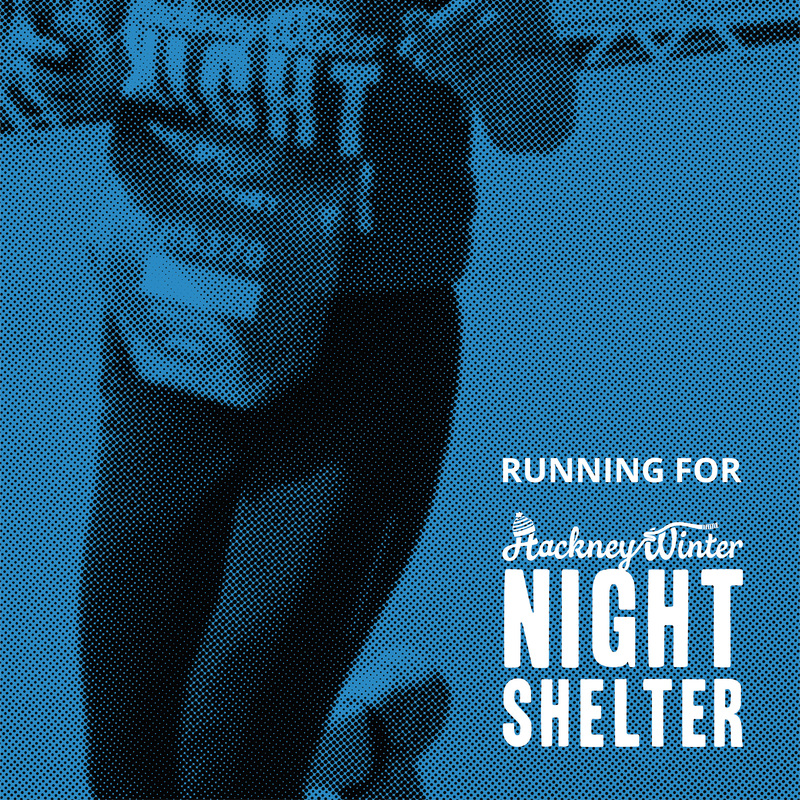 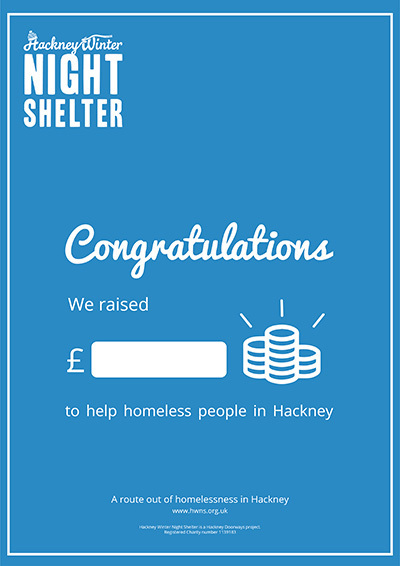 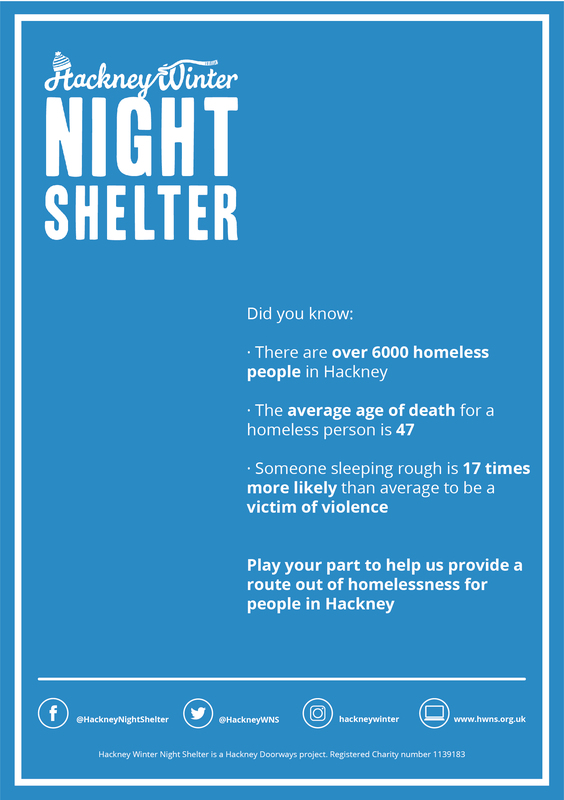 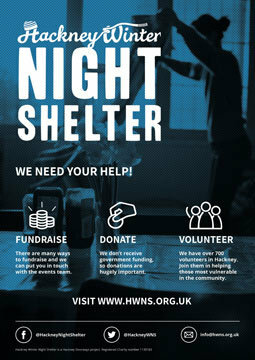 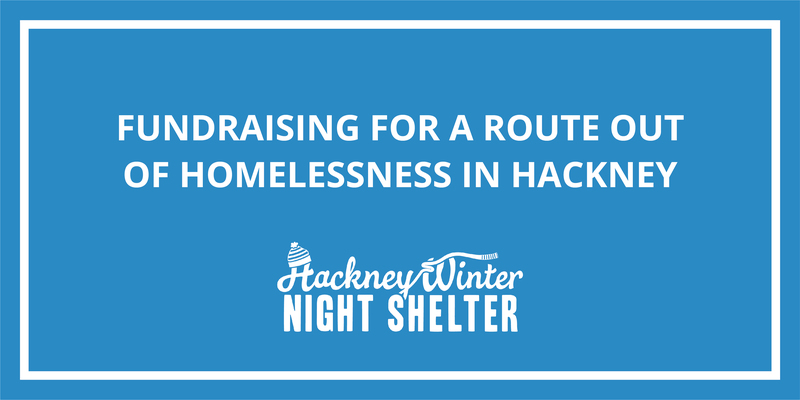 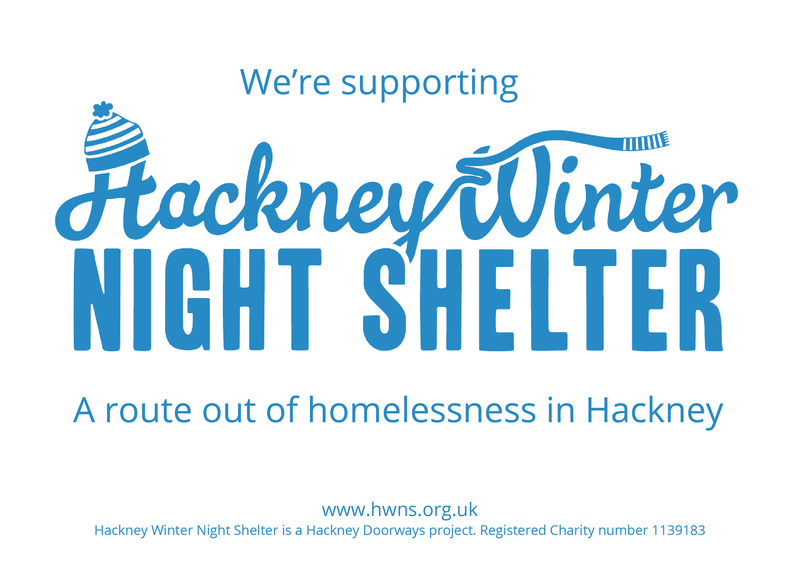 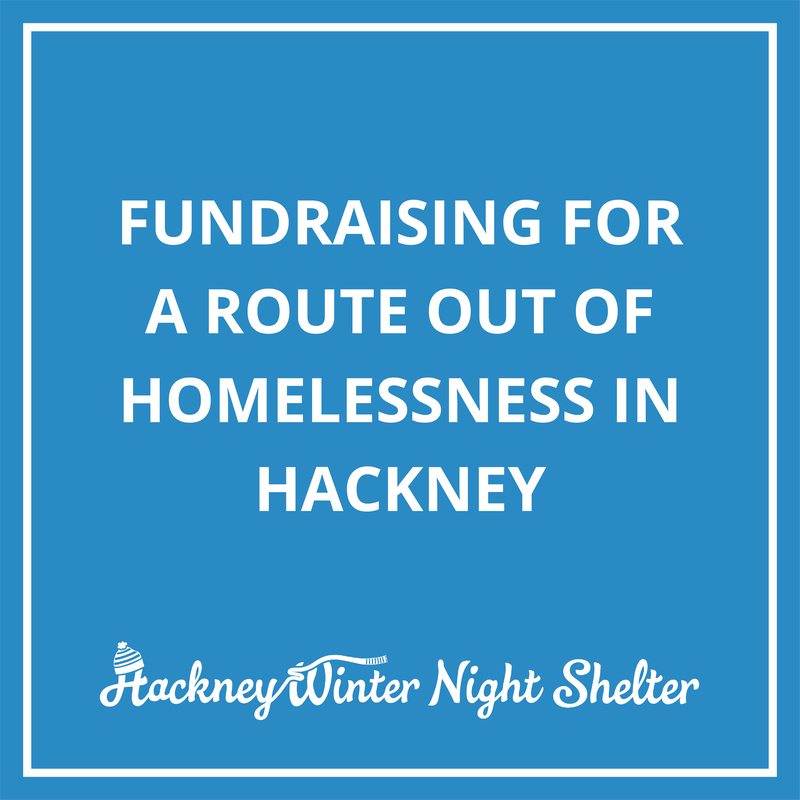 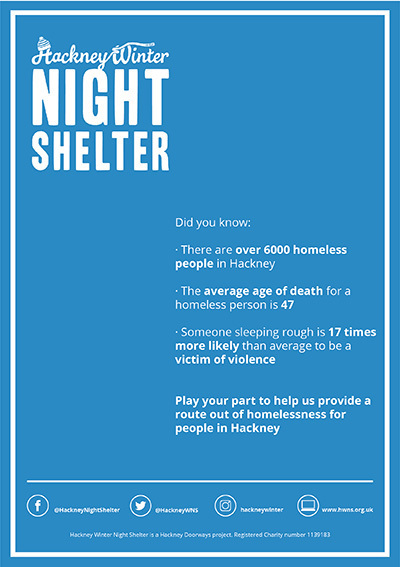 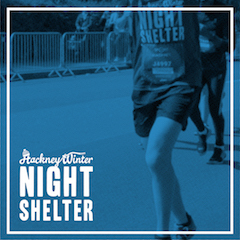 Thank you for raising money for Hackney Winter Night Shelter! 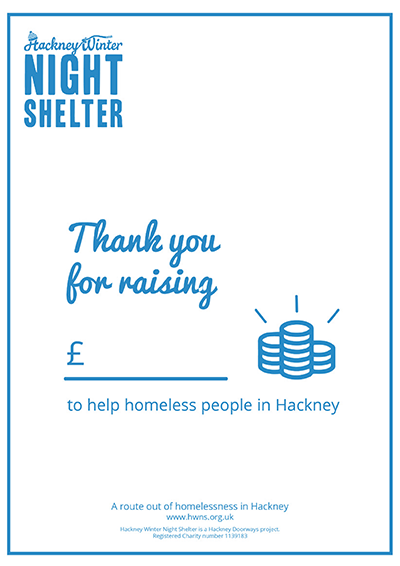 Our work would not be possible without fundraisers like you. 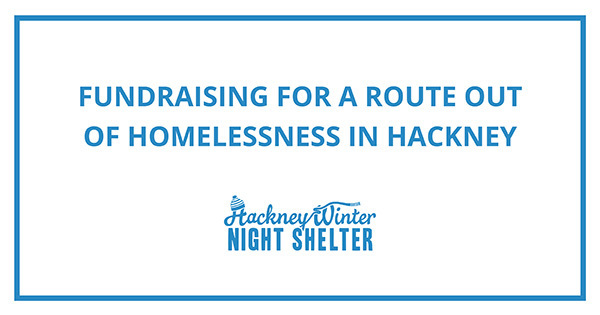 If you're paying in event money or money fundraised in other ways, you can contact the office to get our details to pay by BACS directly into our bank account. 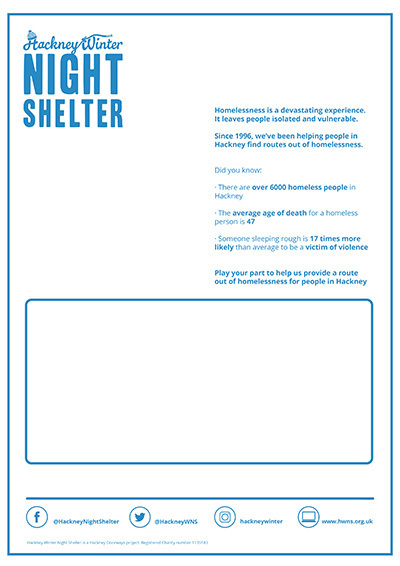 Please email [email protected] or call 0208 533 8308. 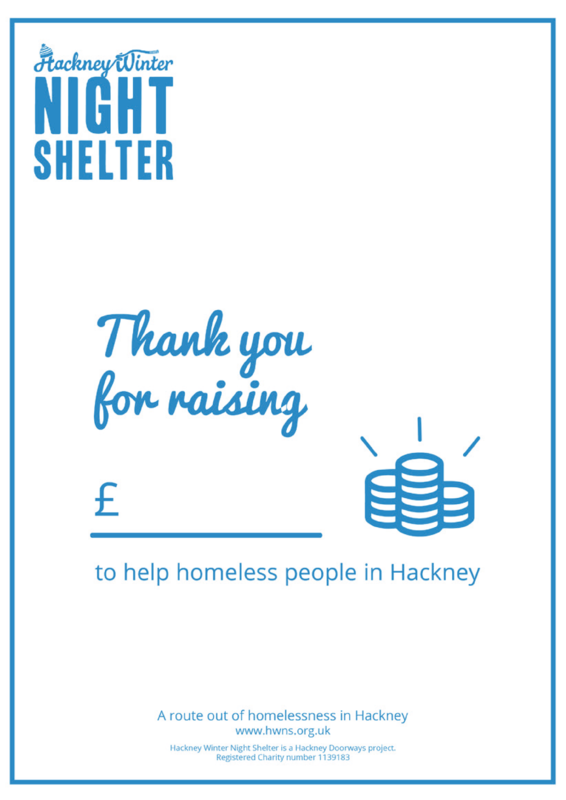 You may prefer to send a cheque to the office or you can pay in funds using our donation form.